100 business cards, printed, numbered & signed. 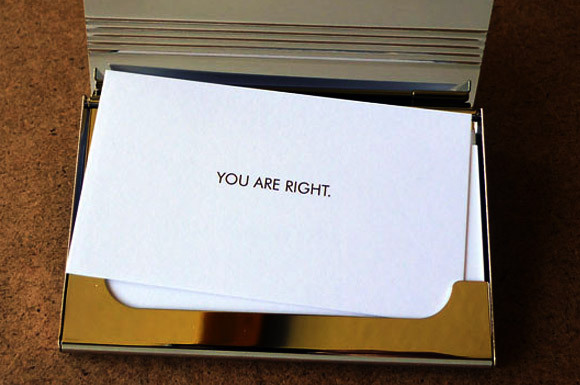 If you are running out of arguments in a discussion and are desperate for the opponent to agree with you – which is an important step to pull the other one over to your side – you can always play this card. It is available for free and will be delivered by mail. I might or might not mount it on an interesting surface. Sometimes it involves Betty Page. ← JANUARY 5 – SOLD!